Video installation instructions for Turbo barbecue repair control valve installation in models like the BBQ Galore Turbo Challenger, STS, Elite and other grill models. This Turbo control valve has been discontinued and the last of the replacement valves have been installed so the replacements are extinct. Because we still have a lot of clients contact us for this replacement control valve necessary for BBQ Galore BBQ grill repairs, wee have worked with a handful of other replacement valves until we discovered a valve we could use to repair these Challenger, STS, Classic, Turbo Elite and other barbeque models. Fortunately, the replacement control valve Also fits the original control knobs and the original LP and NG orifices! Original Turbo STS and Challenger barbecue grill control valve. In this image we can see the original control valve attached to the manifold pipe. This image is from the original Turbo STS model by BBQ Galore. Over several years there have been several different versions of STS models sold by BBQ Galore. This is the first version of the Turbo STS which has a separate ignitor assembly so the control valve has nothing to do with the parts that cause ignition in the BBQ grill. Later Turbo STS models has Two different control valve designs but both of the later Turbo STS control valves have an integrated igniter built into the design of the control valve. Only the first Turbo STS model has these control valves that do not trigger the sparking that will ignite the gas burners. Clamp on installation valves tested to replace Turbo control valves for Challenger and STS models. These models are very old and the one shown here is a barbecue a local customer asked us to dispose of for them. Instead of a dump-site we brought the barbecue back to our warehouses to repair and clean and eventually give away looking brand new with all new parts. For now we removed the seriously damaged manifold pipe and coated it with a heavy viscous paint to protect the badly corroded manifold pipe. Once the gas manifold was clearly going to be able to be used again we started testing control valves. Several valves seemed capable of working but as shown in the image here, using any of these other control valve replacements would necessitate also replacing the gas orifices and the knobs with every valve which would increase the repair costs considerably. We could Make these control valves function in these barbecues but the replacement would be more expensive and complicated than necessary. The control valves we Did finally install has the Same valve stem to fit the original control knob (if desired) and the same threading for the gas orifice which determines if the valve will control propane or natural gas. As we show in the installation video above we can re-use the original gas orifices and the original control knobs. More importantly we can identify these pieces so the controls Are Able to be replaced just as we can Very Easily Replace the orifices if we need to convert the type of fuel the barbecue grill is using. Other valve options has other benefits but this is the valve that will function most like the original. Need a control valve to repair a Turbo barbecue grill model of STS or a Challenger, Elite, Classic or some other replacement? 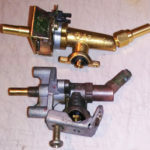 The URL above will easily transport Your Browser to a page of our site where these control valves are available along with other versions of the Turbo models and other parts for ignition, burners, briquette trays and supports and anything you could need to repair any Turbo barbeque model and get back to cooking! 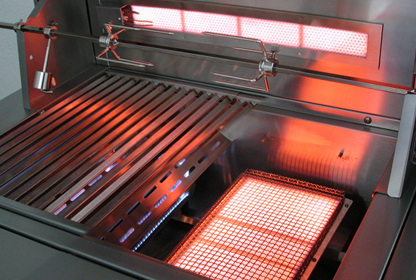 From this page we can also transport to a page of replacement BBQ grill burners and to a page of briquettes and supports cooking grates and contact experts for any assistance necessary. 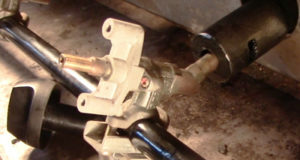 Previous post: Rotisserie Valve Keeps Turning Off Burner – Explanation Repair and Use.